Whether you're a professional contractor or doing a weekend fix-it job around the house, Self Serve Lumber & Home Center has the supplies and expert advice to help you get the job done right the first time. We're right in your neighborhood with locations throughout Mid-Michigan. We're open 7 days a week with the supplies on hand you need at the low prices you want. From cabinetry, counter surfaces, bath fixtures and any other kitchen and bath supplies you may need, we're on "standby" ready to help you out with the best products, the best price, and the best advice. 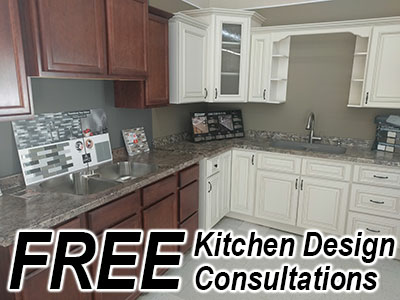 Request a free in-home kitchen and/or bath estimate.